The X70 is safe and predictable if you know what you’re getting into. OVER the last few months, no other vehicle has drawn as much attention in the news as the new sport utility vehicle (SUV) from Proton, the X70. The X70 was released after months of anticipation. By the time of its launch last month, there were already 10,000 preorders for the car, according to Proton. Two weeks later, the company released another statement saying it was receiving between 200 and 300 bookings each day. 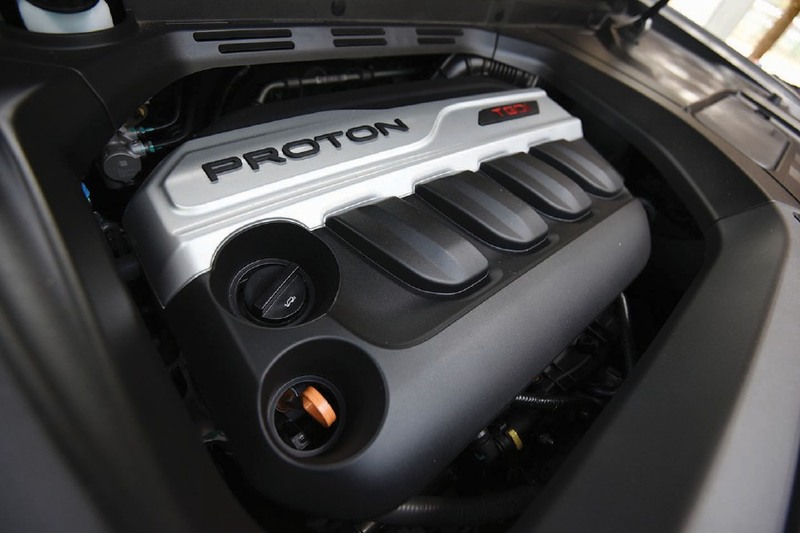 “Strong support has continued and this has been the best response received by Proton for a long time,” said Proton Edar Sdn Bhd chief executive officer Datuk Abdul Rashid Musa at a media dinner. It seems the Malaysian public has really embraced Proton’s new offering. So, does Proton’s new SUV really live up to the hype? 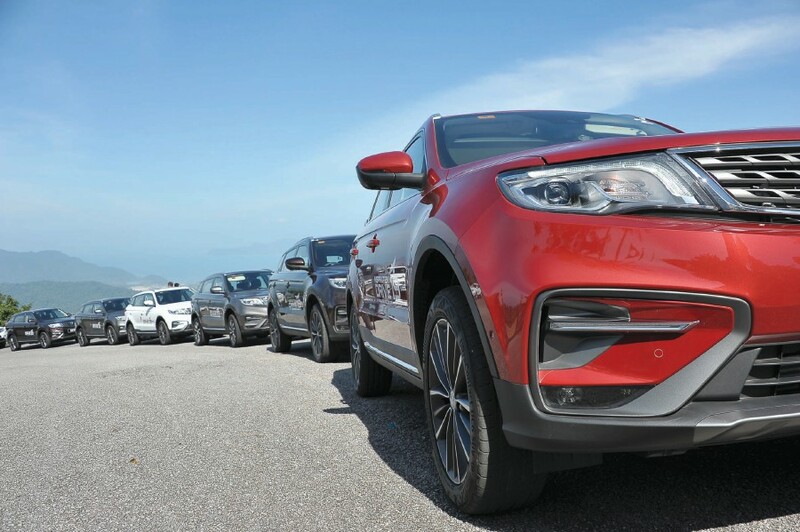 We at Cars, Bikes and Trucks were lucky enough to spend a day trying out the X70 in Langkawi, driving on the island’s mix of twisty trunk roads as well as a few faster routes to put the SUV through its paces. As a recap, the base X70 model is priced just under the much talked about RM100,000 mark, which had been long argued as the psychological price point for Proton customers. The 1.8 four-cylinder turbocharged gasoline direct injection engine makes a maximum 185hp at 5,500 rpm . 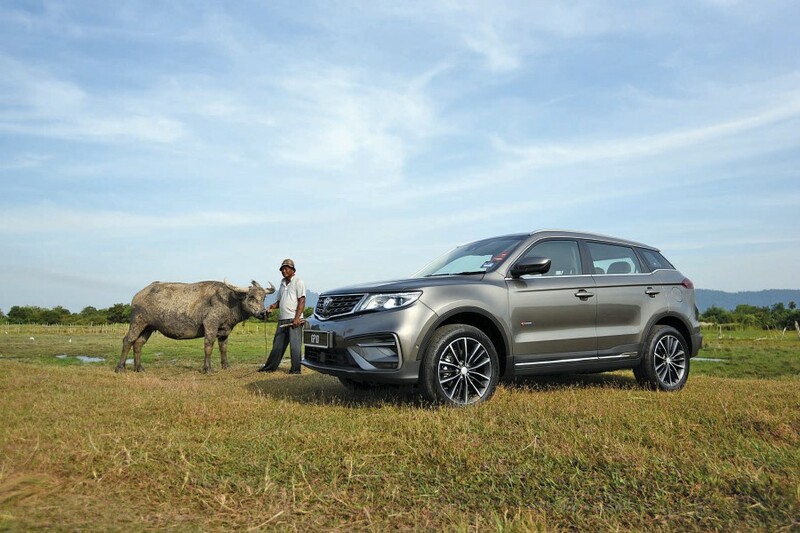 More specifically, the SUV is priced from RM99,800 to RM123,800, depending on variant (on the road price, valid for Peninsular Malaysia, Sabah and Sarawak). Each purchase also comes with Xtra Packages, comprising the Xtra Service Package, Xtra Low Financing Rate, Xtra Warranty Coverage and Xtra Data Package. Of course, when the SUV was released at this price, responses from Malaysians online were mixed. On one side, some said they were disappointed and expected the price to be lower, given that it was a Proton. On the other side, some argued that the price point was reasonable, given the extensive list of features. Regardless of variant, under the hood of all X70 variants in Malaysia is the same 1.8-litre turbocharged four-pot petrol direct injection (TGDi) engine. The mill makes 185hp at 5,500rpm along with 285Nm of torque, which is transferred to the road via a six-speed automatic transmission with Manual Mode. Depending on variant, power is sent to the road through just the front wheels or all-wheel drive. For the exterior, the standard equipment list includes auto headlights, LED front fog lights and LED rear combination lights. The three top variants get LED projector headlights with daytime running lights (DRLs) while the base 2WD Standard versions make do with halogen units. The X70 is equipped with 17-inch rims on the base variants, which are swapped for 18 and 19-inch rims on the higher ones. The highest variant gets 19-inch rims, which on our car was shod with Continental rubbers. The interior of the X70 is a well-appointed space, regardless of variant. 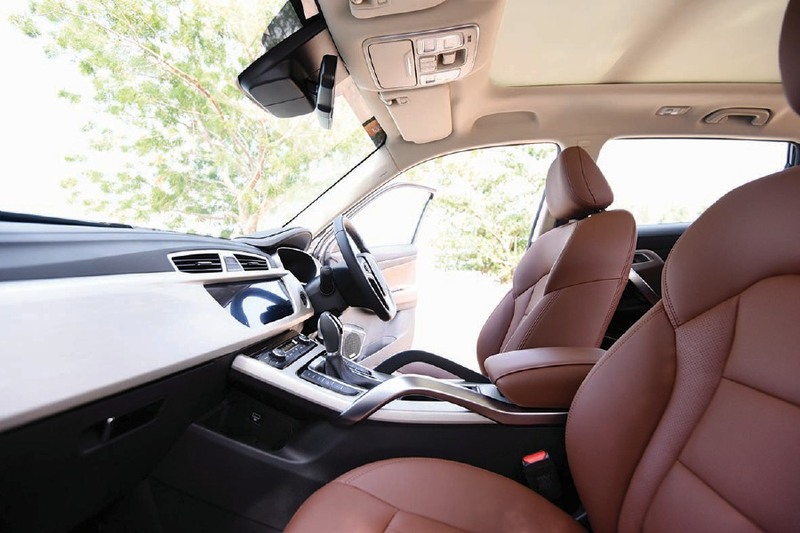 Interior specifications include leather steering wheel, steering mode selection, LCD meter combination, drive mode selection (Normal, Eco and Sport), dual-zone air-conditioning and a built-in air ioniser. Nappa leather seats in the Premium variant. Move up the range to the Premium 2WD, and there is Nappa leather for the seats and steering wheel, while the front seats are powered. Perhaps no single feature in the car has received more attention than the iconic “Hi Proton” phrase, which activates voice command on the car’s infotainment system. The infotainment system consists of an eight-inch touchscreen featuring Voice Command, online music streaming, online navigation, as well as smartphone and Bluetooth connectivity as well as Proton Link App for the infotainment remote control and vehicle status. In terms of safety, all X70 variants are equipped with six airbags, ISOFIX, ABS, EBD, electronic stability control, traction control, hill hold assist, hill descent control and emergency stop signal. Step into the X70, and it would be hard to draw parallels with any of the Chinese cars that we are familiar with from the yesteryear. The cabin is well-designed, with reasonable quality of materials used throughout. There is also an abundance of space with good shoulder room for both driver and passengers, as well as good legroom for the rear passengers. There were no complaints from the rear passengers even when I extended the seat to suit my height. The driver and passenger seats are excellent both in terms of aesthetics and comfort. The Nappa leather brown seats are handsome, with fine stitching and a sturdy feel to them. There is, however, one bothersome detail that irked me during the entire drive and that was how the centre console extruded into the driver wheel well. The X70 is a pleasant SUV to drive. The first thing you will notice when you start rolling in how well the cabin is insulated. The ride quality should be lauded, especially considering the Premium version we drove was sitting on 19-inch rims and relatively thin rubbers. Engine noise, wind noise and vibrations from road surfaces are kept to a minimal. The turbo is barely audible and a faint whirring can only be heard with the most spirited driving. 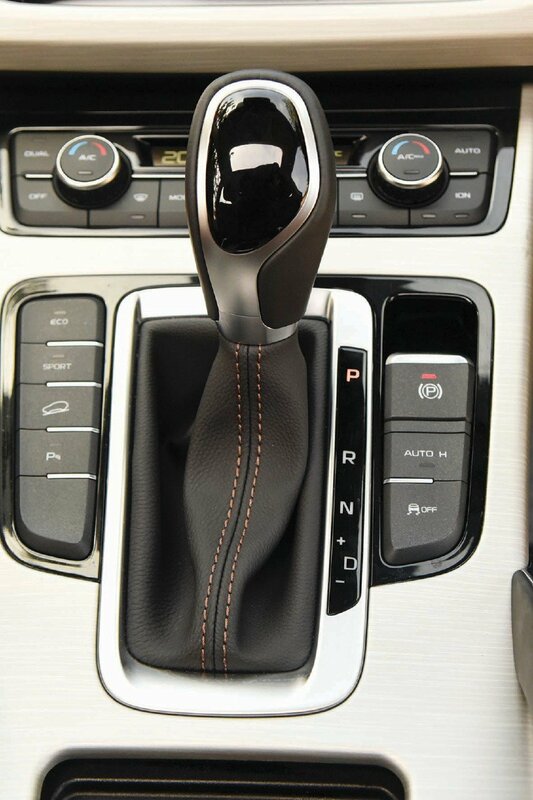 Gear shifter in the Proton X70. This is where the X70 excels for us, especially when its price point is taken into account. When it comes to performance and handling, the X70 is average. The SUV is not particularly fast, accelerating to the century mark in 10.5 seconds but this is no doubt expected given its hefty 1.7-tonne weight and relatively small displacement of 1.8 litres. Once on the move, you do realise that despite its hefty weight, the SUV is not averse to corners. The X70 rides on fully independent front struts and a rear multi-link suspension setup. You can point the X70 through any corner at speed (and there were plenty going up Langkawi’s Gunung Raya), and it will grip the tarmac dutifully. However, while good enough to be safe and predictable, the SUV is not the sharpest handling SUV in its class. Predictability and safety would be the defining characteristics of the X70, rather than sharp and precise handling, as has been the emphasis of Protons past. The electric-powered steering in particular is devoid of feel and leaves you feeling isolated from the drive experience. Beyond the drive experience, the Proton X70 is packed with enough features to impress customers and nudge them closer to opening up that chequebook. Proton has repeatedly highlighted the car’s connectivity as a major selling point for its customers. In particular, the voice recognition feature proved to be a potent marketing gimmick. Before being known as the X70, there was that viral video of Prime Minister Tun Dr Mahathir Mohamad sitting in a Geely as a Geely staffer demonstrated the “Hi Proton” voice recognition. On our drive, we had mixed results with the voice recognition. While being driven from the airport after being picked up by Proton staffers, the voice commands seemed to work reasonably well, opening up the sunroof and lowering the windows. On the following day though, on our own test drive, the usability and practicality of the voice recognition system proved to be less than perfect. Driving out of our resort and driving by the Langkawi airport, we asked the car to take us to Temurun waterfall but the car heard “The Moron Waterfall” and returned an error message. The convoys of X70s at the peak of Langkawi’s Gunung Raya. Instructions for drive destinations and commands such as lowering the temperature and fan speed of the airconditioning and playing music had to be read out slowly and loudly to be understood, and many times the system failed to understand what we were saying. In the end, we realised it was simply easier to use the physical button to control things like the fan speed for the airconditioning. For an SUV that puts an emphasis on its connectivity, the head unit was also not the most responsive system we have used, sometimes requiring repeated touches to register. Having completed our drive, we tried to use the navigation system to take us back to the hotel, but the navigation froze up after we entered the destination. Eventually we settled with just using the navigation app on one of the mobile phone of one of the journalists to guide us back. Proton staffers had said that spotty mobile coverage in Langkawi might be the reason for the unresponsiveness of the voice recognition system and might as well been the cause of the navi system freezing up, but our colleague’s mobile phone was running on the same carrier and didn’t seem to have problems running navigation apps. The X70 isn’t particularly fast. The handling isn’t particularly superb. However, the X70 has a smooth and reasonably refined drivetrain packaged in a spacious SUV body that is packed with enough features to entice buyers.